When driver applies the brake, the tyres carrying the most weight are prone to skid this can happen while braking in the straight line or braking during cornering. 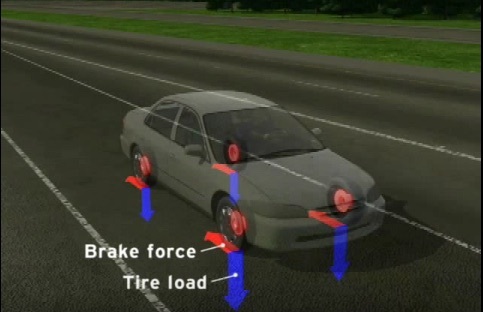 Consider an example where a car is braking during cornering, the car without a EBD can lead to brake lock up due to different loads on the tyres. Let us consider a case where a car comes with a safety feature called EBD (Electronic Braking Distribution). As soon as EBD senses lightly loaded tyres it reduces the braking power to those wheels to help prevent the tyres from skidding The wheels with higher load maintain higher power to help the vehicle stop more effectively. You can think of EBD as a pre- ABS System. Let us know your opinion on EBD. Is your car powered by EBD?